Lisa McCarty is the curator of the Archive of Documentary Arts at Duke University. She’s also a practicing artist and a friend. Lisa earned her MFA in Experimental and Documentary Arts at Duke, and she still lives in Durham. I reached out to her to talk about her work as a curator and as an artist. The following conversation is from an extended email exchange between us. J: Hi Lisa! Recently you became the curator of the Archive of Documentary Arts. When did you begin the position? Can you talk a bit about the archive as well as your vision for the archive as you go forward? L: Hi Jay! I was appointed Curator of the Archive of Documentary Arts ADA) in the David M. Rubenstein Rare Book & Manuscript Library at Duke University in August 2014. The mission of the ADA is to collect, promote, preserve, and provide access to audio, moving images, photography, and text from around the world related to the documentary endeavor for the purpose of inspiring reflection, research, creative expression, and dialogue in this moment, and for generations to come. The Archive of Documentary Arts was initiated within the Rubenstein Library in 1991 with the acquisition of Paul Kwilecki’s photograph’s and papers. The acquisition of William Gedney’s photographs and writings in 1992 strengthened the library’s commitment to the collection of complete archives by individual photographers that include not only finished prints, but documents of the entire creative process including work prints, negatives, journals, and related ephemera. The ADA continues to collect individual archives as well as portfolios, photobooks, audio, moving images, and vernacular image collections. The work of over 300 documentarians resides in the ADA, as well as the archive of our partners at the Center for Documentary Studies and the Full Frame Documentary Film Festival. Collection formats cover the history of photography, filmmaking, and audio recording from daguerreotypes to inkjet prints; from 35mm nitrate film to digital video; from wax cylinders to WAV files. My vision for the ADA involves three major components. First to build on our strengths by continuing to collect both historic and contemporary examples of documentary art and provide more opportunities for it to be discovered. Second, to expand the collection to include both different kinds of documentary projects and work by a more diverse pool of makers. And third, to expand our outreach efforts so that more of the documentary community knows about the work the ADA is doing. I would like the ADA to become a destination for research, and for more artists to think of the ADA as a possible option for the long-term preservation of their work. J: Thank you for providing that background about the archive. I like the notion of different stages of the creative process being tangible and available for visitors. It’s interesting in itself that this archive is defined as a “documentary” archive. For me one of the most fascinating questions about photography is what constitutes “documentary photography”. The definition of documentary seems nebulous and so difficult to pinpoint, even when the medium has existed for nearly two centuries. You mention that part of your vision for the archive is “to include both different kinds of documentary projects and work by a more diverse pool of makers,” which to me implies that “documentary” can be a broad term, that it can encompass all sorts of approaches. So I’m interested to hear your thoughts, as the curator of a documentary archive, on this issue: what does “documentary photography” mean to you? Most creators who would define themselves as documentarians will tell you that while their end product might be a series of photographs, they engage in many other mediums to create those photographs which are actually equally or more important than the images themselves. So the documentary endeavor utilizes photography, moving images, oral histories, and writing, but also observation, immersion, conversation, translation, walking, planting, porch sitting, organizing, fundraising, letter writing, curating, and archiving. I might also add that these activities are usually carried out over long periods of time, with some projects lasting decades and that after the formal project has concluded, the creators often sustains the relationship created. So as a Curator of the “Archive of Documentary Art” it is important to me that I collect not only the finished photographs, but the records related to their making so that I can capture these other, yes sometimes nebulous, activities that led to the work both for their value to future researchers but also to in an attempt to capture a variety of snapshots (forgive the pun!) of what the documentary endeavor is and can be. J: I was recently reading Bruce Davidson’s interview with Charlotte Cotton in the Aperture Interview issue from last fall, and he said “Too much in photography is shoot and leave” as he discussed his efforts to engage with subjects over long periods of time. It sounds like there’s a connection between his attitudes and those of the Archive in the sense that you are emphasizing close relationships in the making of work. Susan Meiselas’ Kurdistan project seems to fit a lot of the criteria you mentioned, and I see that Meiselas’ work is in the Archive. Given that the Archive collects all sorts of materials that relate to the making of work, it sounds like there’s a lot of potential for the Archive to change how you think about certain photographers’ work. Now that you are familiar with the collection, are there any noteworthy photographers in particular whose work is more in-depth and multifaceted than you originally thought? L: Definitely. Because the Archive does collect all aspects of the creative process we are able to give researchers access to letters, journals, and other documents where one is able to discover just how long it took for an artist to complete a project, how many rolls of film shot in a particular place, how the photographers approach changed over time, or the number of years a photographer corresponded with their subject or collaborator. Or for example, my favorite discovery of the last year has been the handmade photobooks of William Gedney. Gedney’s archive first came to Duke in 1992 as a donation from the executors of his estate, John Szarkowski & Lee and Maria Friedlander. Despite his prolific output in his lifetime and having some prestigious exhibitions including a one-man show at MoMA, his work was not widely known. However, because Gedney was a meticulous archivist of his own work we are able to know his work in a much more nuanced way because he left behind not only finished prints, but negatives, contact sheets, work prints, journal, letters, and the photobooks I’ve been concentrating on. Gedney is most known for his photographs of Eastern Kentucky and San Francisco, but in his archive I was able to find evidence of his career long practice of making handmade photobooks and journals. There is in fact a completed photobook, or plans for one, for each of Gedney’s major bodies of work. Knowledge of Gedney’s intent to share his work not only in gallery exhibitions but as books has the potential to shape future study of his artistic practice. While only one of the books Gedney completed in his lifetime was ever under contract to a publisher, it is clear that Gedney believed his images should be experienced and disseminated in books. Practically speaking, the distribution of his work in book form would have allowed Gedney to remain reclusive while providing a means to publicly share his photographs. Moreover, the book, and in particular the handmade book, was desirable to Gedney because it embodied his interest in “intimate gestures.” In his photographs, Gedney was able to capture vestiges of his subjects’ interior lives and the subtleties of their interpersonal relationships as articulated through body language and facial expressions. The handmade book, which relies on the touch, support, and proximity of the maker and reader, enabled Gedney to marry form with content. As a photographer who was both attentive to and reluctant of intimacy, the corporeal book must have seemed the ideal medium. To date, it is likely that just a handful of people have seen the books so I organized an exhibit to highlight this work which is currently on view at the Rubinstein Library entitled Intimate Gestures: Handmade Books by William Gedney. But this exhibit would not have been possible without Gedney’s archive. Because he left so much behind the Library, as well as external advocates such as Margaret Sartor & Roger May, have been able to build a legacy for Gedney that is informed by his images and his words. J: Thank you for the background on Gedney’s work. I’d like to talk about your work now! I’m curious to know more about your most recent project ‘Transcendental Concord’ which seems in some ways to be a departure from your other recent work. Projects like ‘Developer Drawings’ and ‘Experiments in Impossibility’ read as interrogations of the medium itself and photographic processes, and you don’t seem so concerned with depicting the outside world. The Concord work does include ‘straight photography’ while you continue to experiment with the medium, such as your photographs made with keeping the shutter open while walking. Can you talk about what led you to make the Concord work, and how did you decide which photographic methods and strategies to use for this work? L: This may surprise you, but Transcendental Concord is not actually that much of a departure from recent work as you may think! I do consider the investigation of photography as both medium and subject matter to be at the core of my practice, however I am interested in how this concept can manifest itself in a myriad of ways. In fact I don’t think such an investigation could be successful unless I allowed the work to evolve in both form and content, and perhaps look quite different from previous work. With the range of photographic approaches and processes available today, it is of the upmost importance to me that with each project I ask myself what approach and process is appropriate for the project as opposed to defaulting to one camera or one methodology. I believe it is often taken for granted that there is content inherent to every method, and each camera and photographic process used throughout the history of imagemaking has built-in constraints that create wholly different images. By utilizing such a diverse array of processes and approaches to imagemaking, I aim to reexamine the fundamentals of photography and question whether the medium has been perfected, or merely streamlined. My practice of imagemaking is always evolving, much like the history of photography itself. To speak specifically to my motivations for Transcendental Concord however, this project is part of a much larger component in my practice of seeking out and documenting places important in the history of photography and philosophy. I consider such endeavors pilgrimages and Concord has been haunting me for some time. I have been fascinated with the work of the Transcendentalists for about ten years- basically since I first read Nature by Ralph Waldo Emerson and Walden by Henry David Thoreau as an undergraduate. I read them both as part of a course called Literary Altered States and I happened to be taking my first darkroom photography class at the same time. Reading their work taught me how to be mindful and how to marvel in my daily life and thus, in my artistic practice. Transcendentalism and photography, for me at least, are not simply approaches to describing the world, but approaches to living and being present in it. The Transcendentalists also believed in experimentation. Emerson and Thoreau both referred to life as an “experiment.” Thoreau in fact uses the word “experiment” seventeen times in Walden. Knowing this, and my penchant for unifying form and content, the method for photographing Transcendentalism revealed itself. I photographed simply, wandering on foot & with a film camera; I photographed deliberately, seeking out specific places in Concord that are referenced in Transcendentalist writings; I photographed with reverence to the natural world, observing variations in the environment in every season; And I photographed experimentally, incorporating long exposures and camera movement. While my process was highly researched, I had no preconceived notion of the kinds of images I should produce- I was open to capturing the world of the Transcendentalist however it presented itself to me within these constraints. So yes, sometimes there are blurs, bursts of color, and mediations of light that I can’t explain. At other times, the stark clarity of the sky above or a canopy of tree branches in perfect focus was in order. 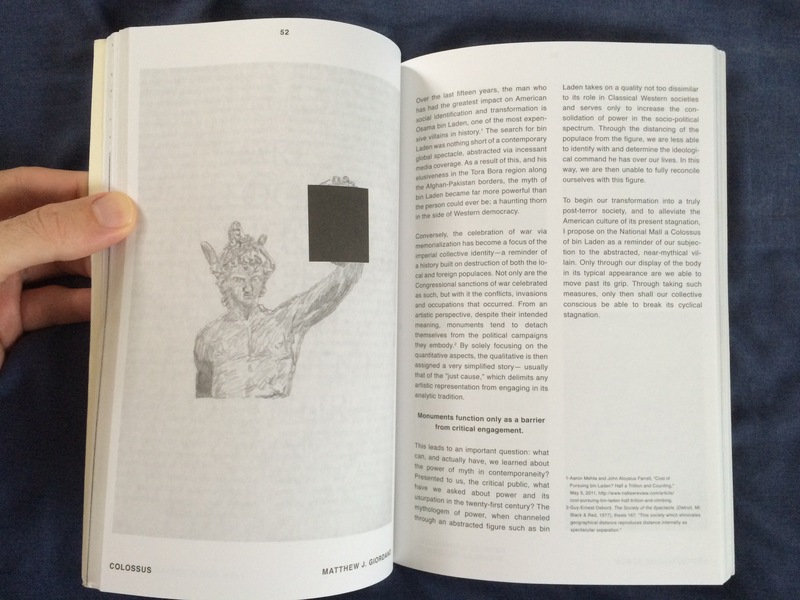 The range of images represents a spectrum that I hope will speak to and resurrect the ideals of Transcendentalism. J: From the way you describe the transcendentalists and what you’ve learned from them, it sounds like we could all learn valuable lessons from them. Instead of being constantly chained to our electronics (I say as I type and stare into my computer screen), we can choose to spend more time marveling at the simple pleasures of life, even in mundane settings. I’m interested in your choice of words when you say “resurrect the ideals of Transcendentalism”, which I interpret to mean that we’ve drifted so far from this basic appreciation of everyday beauty. I think there’s some truth to that, and it’s good to see you engaging with the world in such a way in these times. J: Do you have anything you’d like to promote, either related to your own work or to the archive at Duke? J: Lastly, what’s the best BBQ place that you’ve visited in North Carolina?! L: I am sorry to disappoint, but I actually don’t go to many BBQ places because I’m a pescatarian. So my favorite BBQ restaurants are ironically those that have veggie friendly options- yes such a thing exists! The Pig in Chapel Hill, is one such place and has amazing BBQ tempeh! The word “surveillance” usually conjures up activities carried out by the state and its attendant security systems on citizens and enemies. But what does it look like when artists use the same tactics practiced by the surveillance state and conduct their own surveillance in their work? 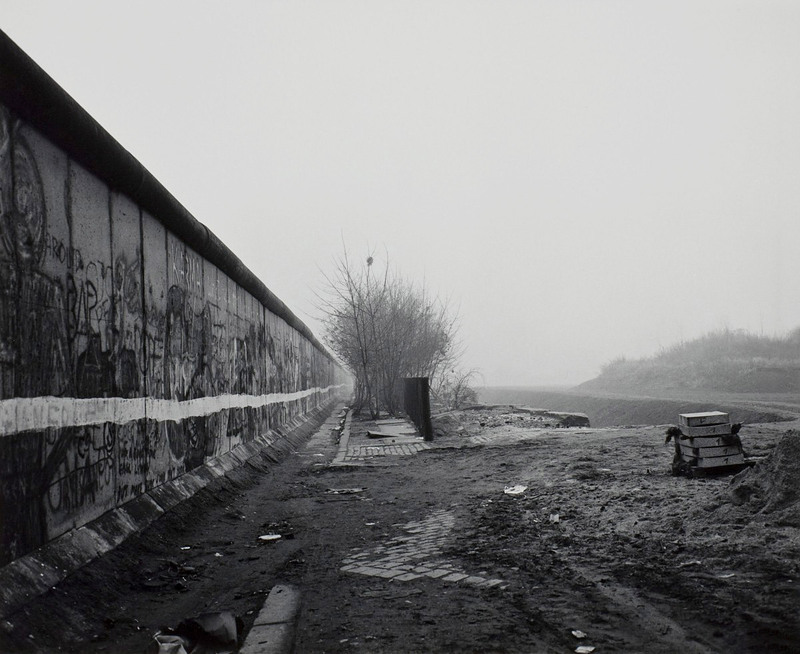 This post discusses John Gossage’s photographs of the Berlin Wall, mentioned in the previous post about walls that divide us, and Trevor Paglen’s photographs of classified U.S. military bases and aircraft, to use but two examples. One section of Gossage’s book “Berlin in the Time of the Wall” is devoted nearly entirely to pictures made at night in the peripheral areas around Die Mauer. These images are full of dark tones, and in some cases Gossage pushes the boundaries of photographic legibility with images that are almost completely black. Like many of the 464 photographs in the book, the night pictures are desolate and devoid of people, but here the feeling of loneliness is heightened by the ominous darkness that fills these frames. 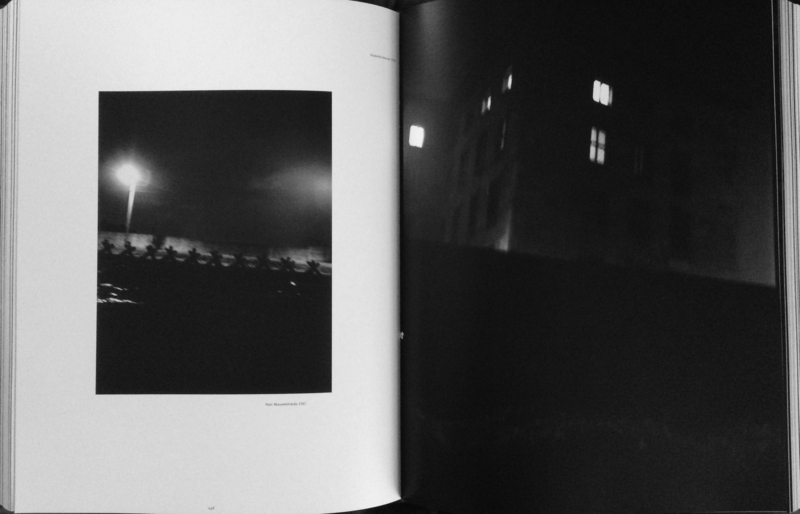 Some of these images are lifted directly from Gossage’s earlier publication “Stadt des Schwarz“, a suite of 18 night photographs in Berlin. In his text from “Berlin in the Time of the Wall”, Gerry Badger writes that the pictures are Gossage’s own surveillance photos. Both Badger and Gossage, in his introductory remarks, outline the equipment that Gossage used to make these pictures: teleconverters, a telephoto lens, high-speed surveillance film. The telephoto lens, which enables photographers to see things at great distances, is a hallmark of photographic surveillance. It gives the image maker the ability to watch without being conspicuous, and therefore empowers the watcher. Perhaps its application for practical purposes is what led Adams to dismiss its potential as a viable instrument for photographers working in a fine art context, but Gossage’s work signals a shift toward embracing the technology in order to make work that comments on its function as an instrument of watching, of control. Badger writes that since the 1980s, when Gossage made his night pictures around the Wall, surveillance has become increasingly ubiquitous. Simultaneously, the number of artists making work about surveillance has exploded, particularly in the post-9/11 age marked by paranoia and a need for security. 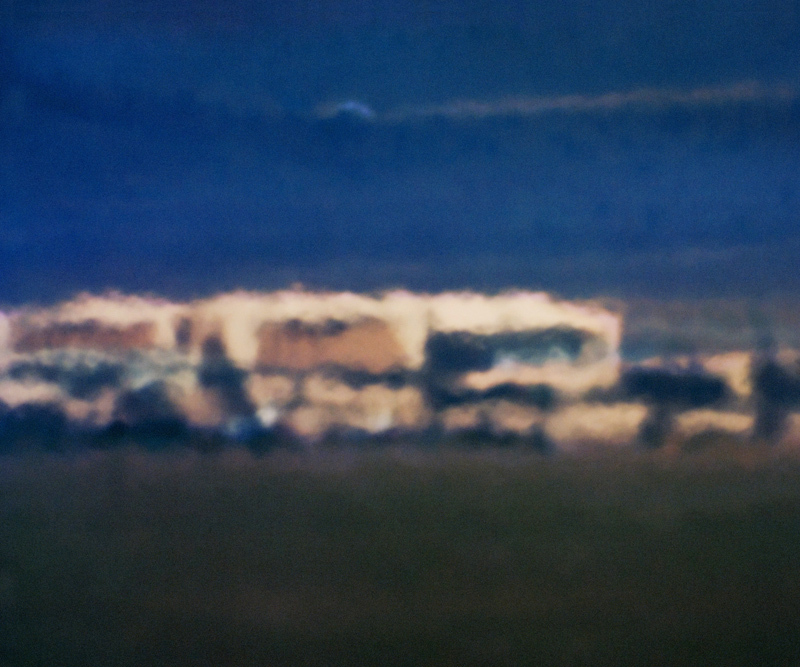 One of these artists is Trevor Paglen, whose work provokes interesting comparisons to Gossage’s Berlin work while engaging with issues that continue to be pressing today. In his series “Limit Telephotography” Paglen uses the same fundamental approach as Gossage in his Berlin work: turning one’s camera on spaces that one cannot easily access or see from a close distance. In Paglen’s case, the spaces that he photographs are classified U.S. military bases, and his work requires extreme measures in terms of equipment and seeing in order to make his subject matter visible. The statement for this body of work on his website says that these bases cannot be seen by the naked eye, and the process of making them visible requires telescopes with a focal length range of 1300-7000mm. To put it in perspective, according to the statement, the equipment is necessary because there are as many as 40 miles of thick atmosphere between the observer and the photographed location. Just as the Berlin wall was an obstacle, in this case the naturally occurring atmosphere is a sort of wall that keeps the observer from accessing certain places. Given that the locations in question are U.S. military bases, this separation is highly strategic. Like Gossage, Paglen uses equipment in order to work around the obstructions at hand, and he photographs places that the military clearly wants to be hidden. Badger suggests that Gossage politicized his Berlin work by employing surveillance techniques, but Paglen’s work, borne out of different circumstances and during a different age, is much more pointedly political. He is specifically targeting U.S. military bases in a reversal of power, demonstrating the ability of him, and by extension the viewers of his photographs, to see places connected to extreme power and secrecy. 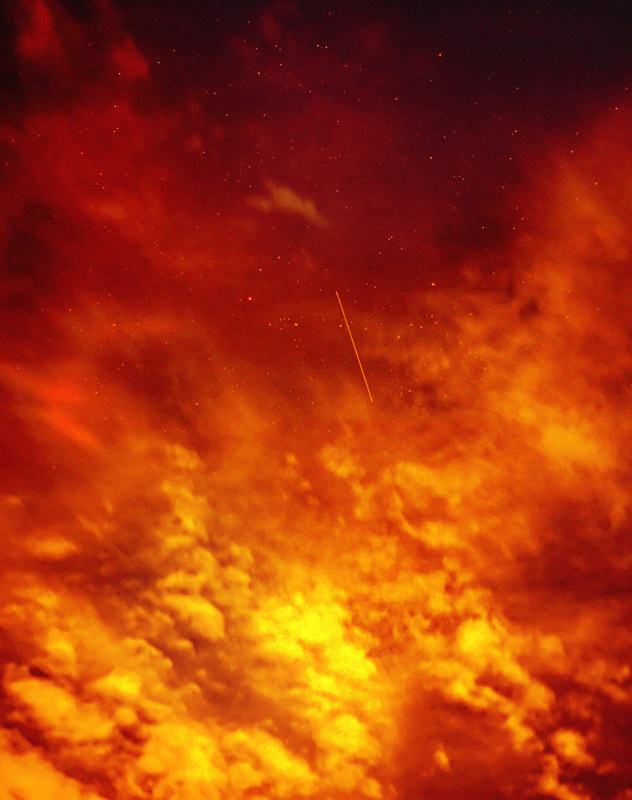 Paglen continues his strategy of watching and recording classified activity in his series “The Other Night Sky“. In this body of work Paglen, through research and the accumulation of advanced data, follows and photographs classified U.S. aircraft, such as satellites that conduct surveillance. My own surveying and photographing of what I call the ‘other night sky’ is perhaps yet another iteration of the frontier photographers’ tradition of visualizing and ordering blank spots on maps… If, as was the case with the O’Sullivans and Muybridges of the past, the production of symbolic order goes hand-in-hand with the exertion of control (if we can only control things by first naming or imaging them), then perhaps developing a lexicon of the other night sky might be a step towards reclaiming the violence flowing through it. What I continue to grapple with is what this reclaiming, or power, accomplishes ultimately. That opens up another can of worms about art’s effectiveness in challenging systems of power and authority. Gossage certainly wasn’t producing the Berlin work out of political urgency, in order to compel those in power to dismantle the Wall. While Gossage viewed the Wall from a bleak point of view, the subtlety of his photographs betrays a mode of interrogation rather than an adamantly activist stance. Paglen’s work tackles some of the most powerful agencies and authorities in the world, but his end goal seems to be investigating and posing questions about power rather than believing that his work in itself will lead to positive change. After all, it took someone from the inside to disrupt the activities of the NSA, and only time will tell how much power the NSA will give up as a result. But in the end, all we need is work that challenges the surveillance status quo without making any brash promises about change. Gossage’s work and Paglen’s work show us ways that artists can work against the surveillance state and create meaningful dialogue about its position in today’s society. This issue is one that will not go away anytime soon, and we can take instruction and become engaged through the work of artists using surveillance as their subject, no matter how subtle or overt. If the lessons of history had been learned, the Berlin Wall would not have been built. But the lessons of history, alas, seem never to be learned. The lesson of the Berlin Wall certainly has not been learned, for new Berlin Walls are being built, on the West Bank of the River Jordan, along the U.S.-Mexican border. Walls restrict us. They contain us, obstruct our views, deny us access. They deny us freedom. I’m not talking so much about walls in our domestic spaces as I am about the occasional wall that is erected for geopolitical and ideological reasons. Sometimes these walls are built in the name of national security and ostensibly serve a noble purpose, but is there not a gap between the intent and the actual effect of these walls? What do they really accomplish besides dividing us, creating hostility, and separating us from family members? Take the Berlin Wall as one example. The above Gerry Badger quote comes from “Putting Back the Wall” (Loosestrife Editions, 2007) a book of John Gossage’s photographs of ‘Die Mauer’ that serves as a follow-up to Gossage’s voluminous “Berlin in the Time of the Wall” (Loosestrife Editions, 2004). Gossage extensively photographed the Berlin Wall and the surrounding areas for more than a decade and these two books are the fruits of his labor. In Badger’s writing he refers to ‘Die Mauer’ as nothing less obscene than an ‘inhuman stupidity’, pointing to its effect of separating family members from each other as well as the fact that people died as the result of the Wall. In Steven Spielberg’s new historical fiction film “Bridge of Spies“, partially set in Berlin during the advent of the Wall, we see people mowed down by snipers as they try to cross from East to West Berlin. For someone who was only three years old when the Wall was torn down, encountering this material makes it seem like the Wall was inhumane and only exacerbated tensions that already existed. I am separated by Die Mauer both in time and distance but I think of it occasionally, not only because of the deeply profound art that Gossage and others created as a response to the Wall (the photography of Michael Schmidt, the film “Wings of Desire” by Wim Wenders) but also because the notion of walls resonates with the current political landscape in the United States. Badger insightfully connects the building of the Berlin Wall with the U.S.-Mexico border, stating the harsh truth that we don’t seem to learn “the lessons of history”. In the U.S. we have to live with Donald Trump’s preposterous proposal for a wall that runs along the entire length of the U.S.-Mexico border, the most recent folly in a protracted argument in this country about how to best deal with undocumented immigration in the United States. The Berlin Wall was a tangible object. But I’m not as concerned about the reality of a tangible wall separating the United States from Mexico – I know I run the risk of underestimating the will of xenophobes in power – as I am about the intangible divisions that run rampant in U.S. society and politics. When Paul Ryan says that he is ruling out any talks on immigration reform with President Obama, he is effectively ensuring that an intangible wall is built between the two sides of the aisle on this issue. Is Congressional gridlock not another barrier or wall that leads to restriction and denial, rather than open dialogue and constructive problem solving? Are we as American citizens not building an extensive network of walls when we refuse to earnestly listen to those with whom we disagree? Our country does not need a towering wall that stretches from Tijuana to Matamoros. We do not need another concrete reminder of our tendency to create divisions amongst ourselves. We have plenty of walls among us already. Over the last fifteen years, the man who has had the greatest impact on American social identification and transformation is Osama bin Laden, one of the most expensive villains in history. The search for bin Laden was nothing short of a contemporary global spectacle, abstracted via incessant media coverage. As a result of this, and his elusiveness in the Tora Bora region along the Afghan-Pakistan borders, the myth of bin Laden became more powerful than the person could ever be; a haunting thorn in the side of Western democracy. The CLOG book was published in 2012, one year after the death of bin Laden. Fast forward to now. bin Laden and the circumstances surrounding his death continue to occupy our minds. On October 15, the New York Times published an article by Jonathan Mahler titled “What do we really know about Osama bin Laden’s death?” Mahler’s article points to major discrepancies between the Obama administration’s narrative about bin Laden’s death and Seymour Hersh’s investigative reporting on the incident. 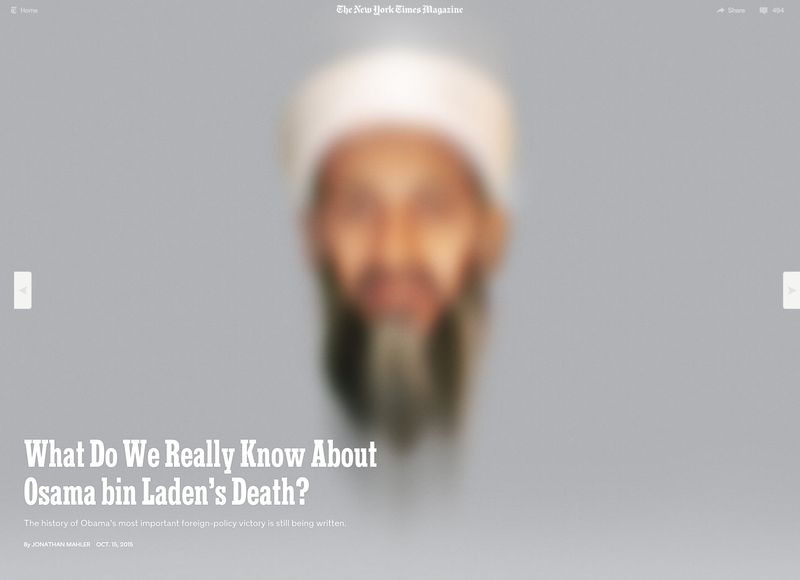 The article is well worth reading but without getting too bogged down with the details here, the piece reveals that there is still much that is unclear and unknown about how exactly bin Laden met his demise. Mahler establishes that rather than taking sides, he is more concerned with taking a metacritical look at how narratives surrounding major events are constructed. Photo illustration by Neil Kellerhouse. Source photograph: Associated Press. I want to return to Giordano’s statement that the “myth of bin Laden became more powerful than the person could ever be; a haunting thorn in the side of Western democracy.” Mythology is indeed powerful. Scholarly minds established long ago that American history, in its most mainstream sense, is a collection of myths that we like to tell ourselves about our country. Mythology can be a convenient way for us to perpetuate certain narratives while papering over uglier truths. For example, the Founding Fathers are complex individuals who did both great things and awful things. Historically, we as a people have chosen to emphasize their heroic deeds in battle while forming this country on the principles of liberty rather than the fact that they were slaveholders and therefore hypocrites. Where does the official bin Laden story stand now? For many, it exists in a kind of liminal state, floating somewhere between fact and mythology [my emphasis]… It’s not that the truth about bin Laden’s death is unknowable; it’s that we don’t know it. And we can’t necessarily console ourselves with the hope that we will have more answers any time soon; to this day, the final volume of the C.I.A.’s official history of the Bay of Pigs remains classified. We don’t know what happened more than a half-century ago, much less in 2011. Although we may not “have more answers any time soon,” that will not diminish some people’s need to know. It’s important not only to know that bin Laden died, but also to know how he died. And in terms of bin Laden’s legacy: although he is dead, has his impact subsided? Are we, the American people, over him? That question leads me back to Giordano’s essay, which includes a radical proposal for a monument. Giordano’s writing opens up an intriguing and horrifying question: what would it be like if monumentality in the United States took a drastically perverse turn and we began to commemorate the people and things that truly control and impact us? What would happen if we began to confront the likenesses of our enemies? So: what if a colossal statue of bin Laden opened on the National Mall in the near future? Would it only cause further anguish and anger and trauma? Would it be an abomination, a blight upon our commemorative core? Or would such a statue, an unprecedented gesture, somehow have the positive effect that Giordano predicts? Would seeing the statue, which would no doubt be brutalist and grotesque and awful, cause an awakening among us that enough is enough? Would it lead us to decide that we won’t be controlled by fear and paranoia anymore? Could it do all these things simultaneously? I am not here to second Giordano’s opinion, and as I’ve read and reread and reread his words I am troubled and terrified just by the thought of a bin Laden statue towering over visitors to our nation’s capital. But perhaps that is the point that he is making: we Americans have yet to break free from this constant, destructive cycle of fear and an inability to confront what really haunts us. I also give Giordano credit for saying something provocative, for challenging the status quo, for asking difficult questions about fear and power. Ultimately, Giordano may not even be proposing that the statue is literally the solution for what ails us as a people; instead, he may be using the prospect of this statue to mobilize us and to encourage us to reevaluate how much power we want terrorists and aggressors to have over us, both in the big picture and in our day to day lives. Now is as crucial of a time as ever for us as American citizens to have a critical mind about the state of this country, and if Giordano’s audacious, troubling, and brash writing is what gets us to stop and think, then so be it. I’m tired of photography. That’s not a bold statement. Plenty of my photographer friends have voiced restlessness and discontent with the medium in recent years. Why wouldn’t we? The fact that we are inundated with images is a tired conversation, but it doesn’t change the fact that it’s true. We’re all overstimulated and it’s more difficult for me than ever to feel inspired. Rarely am I impressed with a singular image anymore, which partly explains my preference for bodies of work that function as well-conceived sequences in the book format. Even then, the market is saturated. But every now and then a particular image will come along that renews my faith in photography. More specifically, it affirms photography’s undying ability to be a surprising and refreshingly descriptive medium of the world around us, not as an illustration that is in service of a theoretical, predetermined concept. Recently on MACK’s website I saw this image by Bertien van Manen from Ireland that will be part of her upcoming book ‘Beyond Maps and Atlases‘. I keep coming back to it, which is saying something in itself given how most images function as noise and distractions that we never revisit. This image is so austere and seemingly simple but it’s so much more! I can’t quite put my finger on why I’m entranced, but that’s part of the beauty behind ambiguous and subtle images like this one. It beckons me to come back rather than telling me what the author thinks I should know. There’s something so archetypal and timeless and deep about this picture. It looks like it could be a color still image moments removed from the chess game by the shore in The Seventh Seal. It’s rooted in the specifics but it opens up other worlds that make me forget about where I am. 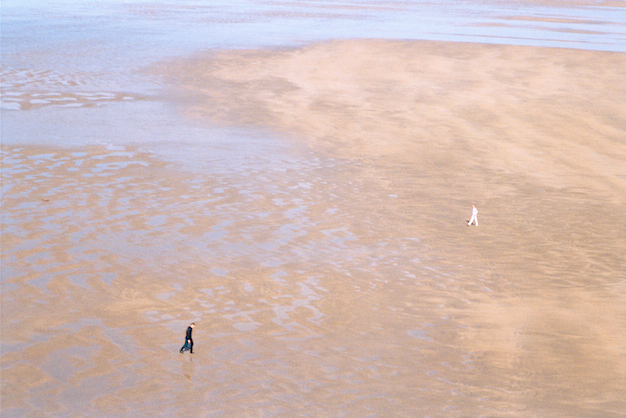 Thank you Bertien van Manen for showing me that the faith is worth keeping.